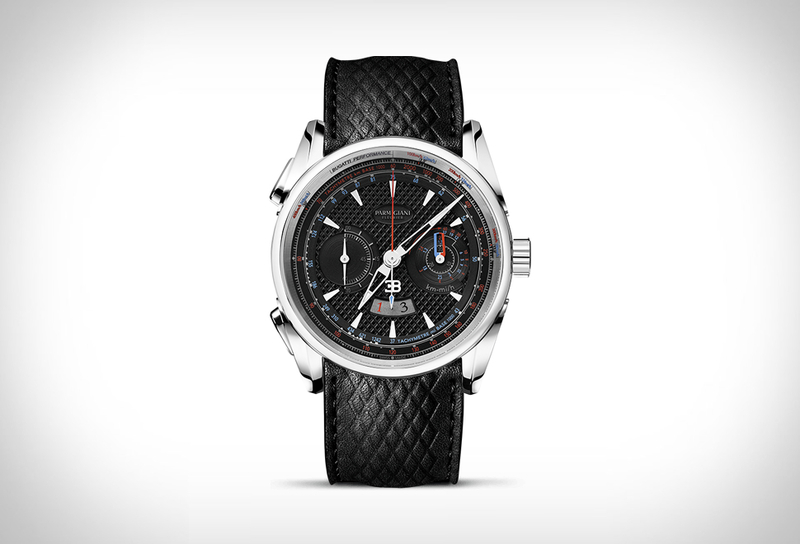 Parmigiani Fleurier is a Swiss brand of luxury watchmakers founded in 1996 in Fleurier, Switzerland, by Michel Parmigiani. For twenty years, the Parmigiani Fleurier signature has resided within timepieces that command utmost respect. 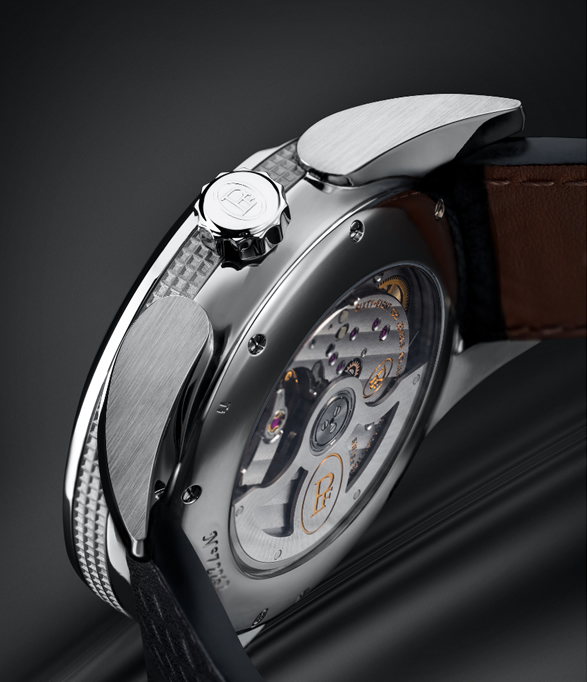 Their latest masterpiece was born from a compelling partnership with mythical automaker Bugatti, and inspired by the spectacular 1935 Bugatti Type 57 Aerolithe, a car with a stupendous shape, properly ahead of its time, with multiple details that would inspire the creation of this beautiful commemorative watch. 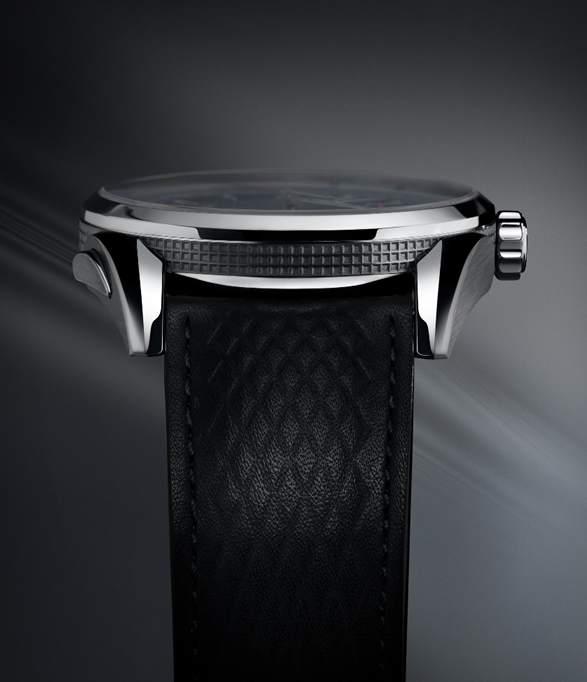 With the Bugatti Aérolithe Performance, Parmigiani Fleurier wanted to create a case made entirely from titanium, with impressive shape and details. 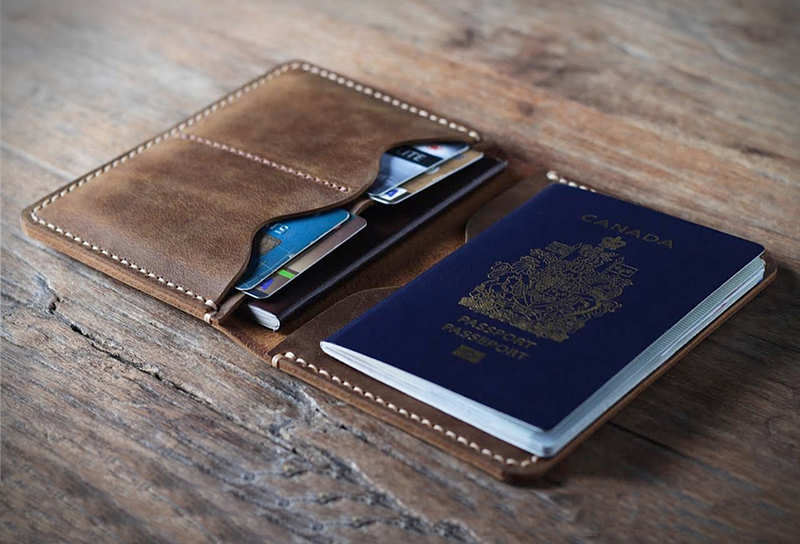 This high-tech piece required laser technology to apply finishes beyond the capability of conventional machining. 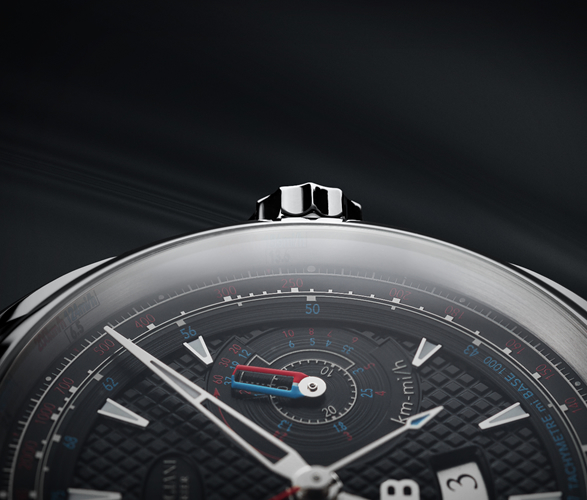 The world of high- speed pursuits can be seen in the abundance of details, such as the double tachymeter, which has km/h indications in red and mph in blue. The reminder of the Bugatti´s current performances engraved on the bezel adds to the fantasy surrounding the car, whose maximum speed remains unknown to this day for lack of a suitable track. 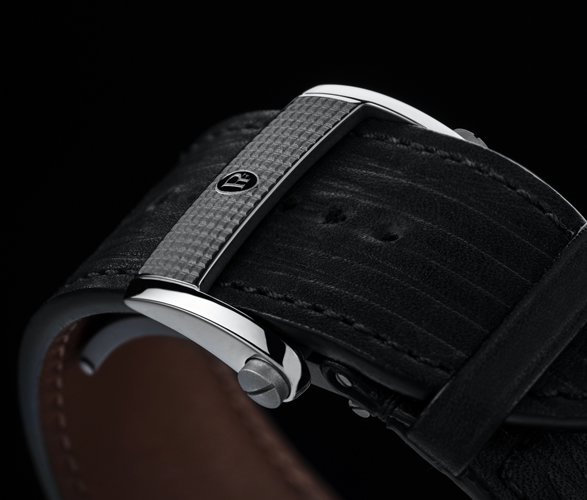 Other striking elements contribute to the personality of this timepiece, such as the famous lugs featuring the dorsal seam of the Bugatti Aérolithe, the strap inspired by the embossed pattern of the manufacturers seats, and the deployant buckle, which is textured to match the dial. 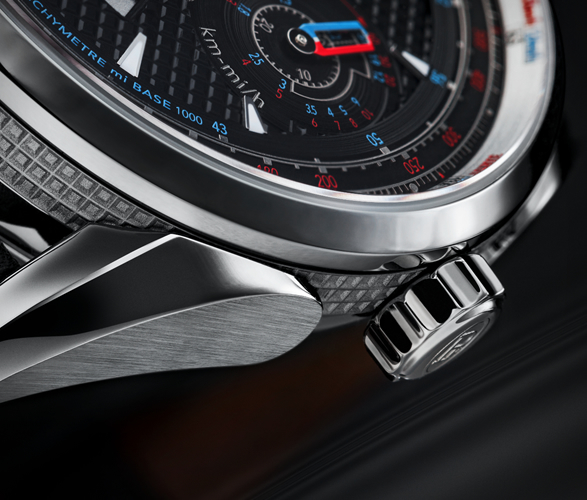 "Under the hood” the Bugatti Aérolithe Performance is driven by the proprietary PF335 movement, which boasts a flyback chronograph module. This 30mm movement, visible from the caseback, is finely decorated with "Côtes de Genève”, a classic finish which complements this round watch, buoyed by the energy of the legendary car which served as its inspiration. 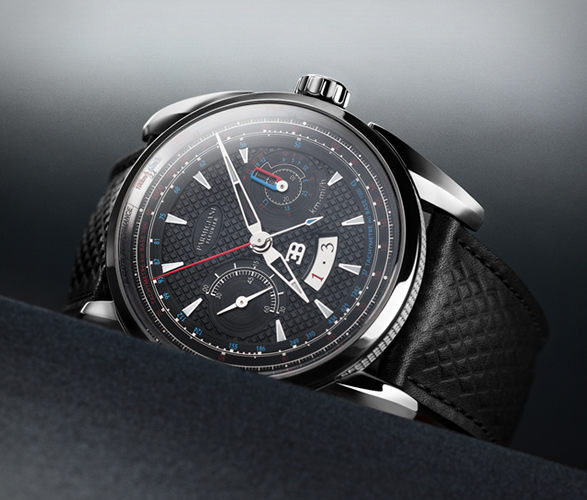 Check out the full collection at Parmigiani Fleurier, or follow the brand on Facebook for the latest news and updates. Our thanks to Parmigiani Fleurier for sponsoring the site this week. The post was written by the BTS team and not influenced in any way.